BALTIMORE, Maryland & SHANGHAI, China – June 15th, 2018 – Insilico Medicine, a Baltimore-based next-generation artificial intelligence company specialized in the application of deep learning for target identification, drug discovery and aging research, announces the completion of a strategic round of funding led by WuXi AppTec’s Corporate Venture Fund. The strategic investment was conditional upon the successful experimental validation of Insilico Medicine’s Generative Adversarial Networks (GAN) and Reinforcement Learning (RL)-based drug discovery pipeline and is intended to closely integrate the cutting-edge artificial intelligence of Insilico Medicine and strength of the laboratory infrastructure and expertise in medicinal chemistry of WuXi AppTec. The round was led by WuXi AppTec’s Corporate Venture Fund and includes Pavilion Capital, a subsidiary of Temasek Holdings, and BOLD Capital, the venture capital fund investing in exponential technologies founded by Peter Diamandis and Neal Bhadkamkar. Juvenescence Limited, a leading longevity therapeutics company, which partnered with Insilico Medicine on drug discovery also participated in the round. The transaction has been a joint effort between WuXi AppTec’s Corporate Venture Fund and WuXi AppTec’s Research Services Division, which has been focused on investing in and collaborating with highly-disruptive technologies and companies globally. About WuXi AppTec Co., Ltd.
Juvenescence Limited is a biotech company focused on therapies to increase healthy human longevity. It was founded in 2017 by Jim Mellon, Dr. Greg Bailey, Dr. Declan Doogan, Anthony Chow, and Alexander Pickett. The Juvenescence team are highly experienced drug developers, and serial entrepreneurs with a track record of success in life sciences and drug development. Juvenescence is focused on developing therapeutics that alter ageing or age-related diseases. Juvenescence believes that recent advances in science have greatly improved our understanding of the biology of ageing and creates the opportunity to develop therapeutics now that can slow, halt or potentially reverse elements of ageing. Insilico Medicine, Inc. is an artificial intelligence company headquartered at the Emerging Technology Centers at the Johns Hopkins University Eastern campus in Baltimore, with R&D and management resources in Belgium, Russia, UK, Taiwan and Korea sourced through hackathons and competitions. The company and its scientists is dedicated to extending human productive longevity and transforming every step of the drug discovery and drug development process through excellence in biomarker discovery, drug development, digital medicine and aging research. 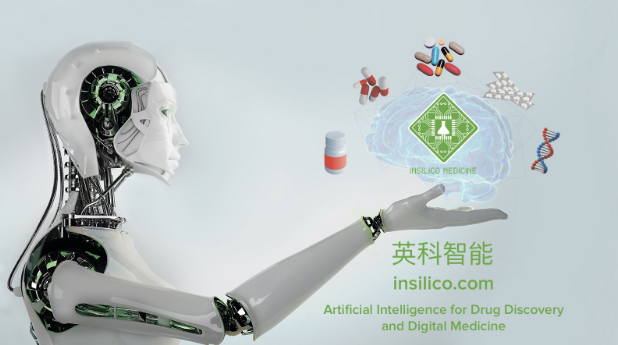 Insilico Medicine’s work was recently covered by MIT Technology Review China, Nature Medicine, Nature Biotechnology, The Pharmaceutical Journal and many others. The Company is routinely publishing advanced research in peer-reviewed journals and presenting at the major industry conferences. Insilico pioneered the applications of the generative adversarial networks (GANs) and reinforcement learning for generation of novel molecular structures for the diseases with a known target and with no known targets. In addition to working collaborations with the large pharmaceutical companies, the company is pursuing internal drug discovery programs in cancer, dermatological diseases, fibrosis, Parkinson's Disease, Alzheimer's, ALS, diabetes, sarcopenia, and aging. Through a partnership with LifeExtension.com the company launched a range of nutraceutical products compounded using the advanced bioinformatics techniques and deep learning approaches. It also provides a range of consumer-facing applications including Young.AI. In 2017, NVIDIA selected Insilico Medicine as one of the Top 5 AI companies in its potential for social impact. In 2018, the company was named one of the global top 100 AI companies by CB Insights. For more information on Insilico Medicine, please visit insilico.com. Media Contact: - To speak with one of the principals with WuXi AppTec or Insilico Medicine, please contact Gary Gabriel by email at gary@Vmatrixpr.com or call (510) 677-2947.